In his first season as a volunteer assistant coach, Tim Boruff proved his worth to the program as a goalkeepers coach. 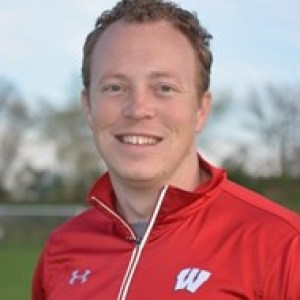 Mentoring first-year starter Philipp Schilling, Boruff led the German-born goalie to one of the greatest marks in Badger history. 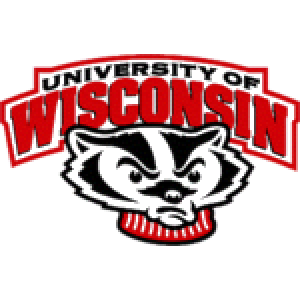 Schilling had a stifling .72 goals-against average, which stands as second in Badger history. Schilling was also named to the Big Ten All-Tournament team for his stellar performance in the tournament. Boruff also played a key role in the development of Casey Beyers. Beyers signed a professional contract with Orange County SC of the United Soccer League Boruff spent the 2015 season as the goalkeepers coach at SIUE. While at SIUE, Boruff helped the Cougars capture the Missouri Valley Conference regular season championship. He worked with Kyle Dal Santo, who became an All-MVC goalkeeper and finished with the fifth-best goals against average in the country in 2015. Boruff and SIUE's coaching staff were recognized as the 2015 MVC Coaching Staff of the Year. Prior to his time with SIUE, Boruff spent three years as an assistant coach at his alma mater Missouri-St. Louis. During his time there, USML advanced to the GLVC championship game. Both goalkeepers he mentored during his tenure became All-GLVC honorees. Additionally, in 2012, the Tritons set a school record for conference wins and finished the season 12-3-2. Boruff played three seasons at Missouri-St. Louis. He recorded 203 saves during his career, which ranks seventh all-time in program history. Boruff also collected 11 career shutouts, which stands as the eighth most at UMSL. His career goals-against average ranks 10th all-time in school history. Boruff earned his bachelor's degree in criminal justice and his masters of education, both from UMSL.